So much yarn, so little time. : A new challenge! Last week I was invited to take part in a competition with 9 other craft bloggers. 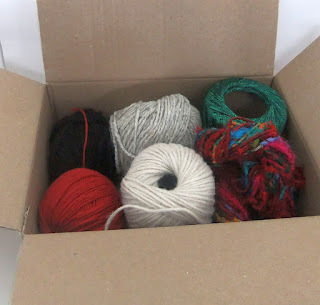 I agreed, and a few days later a parcel of mixed yarns from Homecrafts arrived! Exciting! First yarn looks like it has possibilities as the base of my design. 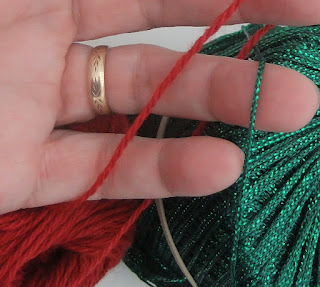 Two quite fine yarns - I like the sparkly green, they'll be good for accents. 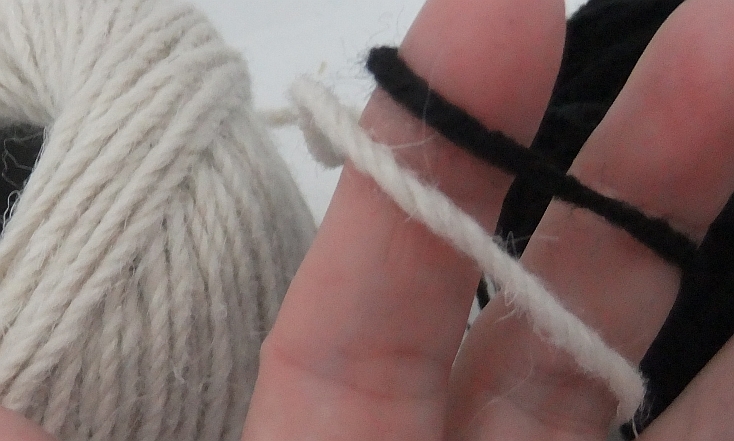 Cream and black - hmm, think I know what I'm going to do. And finally - "WOW!" 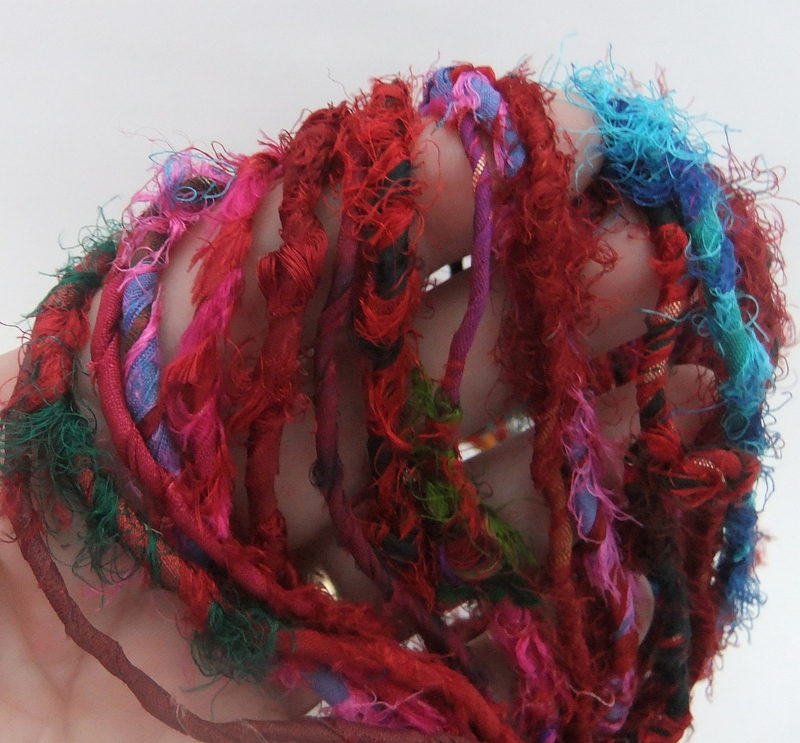 This is sari silk. According to my friend MrGoogle, it's recycled from leftover sari ends and then respun by hand. The colours are as vibrant as you'd imagine, lots of texture, all different thicknesses throughout the hank. This will be the defining feature of the design. Now all I have to decide is which of my ideas to choose, and get knitting! Sounds like fun - can't wait to see what you come up with. I’m excited if what would be the creation using these yarns but I’m hoping for a bag or a pouch, because I’m collecting that stuffs. This is very interesting and I know enjoyment is there. 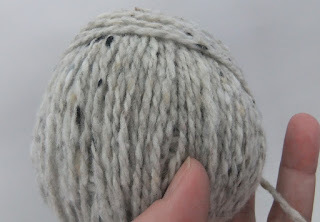 Yarn competition: What did I make? After all these years, I'm a dog lover! Guitars of one sort or another!